I think most pet parents enjoy shopping for their fur babies. I'm a bit of a shopaholic myself and nothing makes me happier than finding a fun new toy or treat to bring home to Truffles. I especially love finding cute little pet boutiques that offer unique items that just can't be found in your everyday big box stores. Today I'm excited to tell you about For Tails Only, an Exclusive Pet Boutique. The only company of it's kind. For Tails Only is a direct sales organization selling products for pets and pet lovers. “For Tails Only™ is a woman-owned company for the pet lover. After seeing so many news reports about treats and food, poisoning our beloved best friends, the idea was born. For Tails Only™ is an exclusive pet boutique carrying treats made of the finest ingredients from the USA, grooming and bath products, unique pet toys, gifts and more. Our product line puts your pet’s health and safety first. We have searched far and wide to offer items you won’t find in your average pet store or super center. The goal of For Tails Only™ is to make your life easier by offering regular auto shipping of freshly baked treats right to your door on a bi-weekly, monthly, or bi-monthly basis. Our products will definitely get some tails wagging!!" In addition to the pawsome shopping, you can host a pet paw-ty to earn free and discounted pet products, and have the opportunity to turn your love for animals into a part-time or full time income. Have you ever dreamed of owning your own pet business? I know I have. They are looking for handlers nationwide! You can contact Founding Independent Handler Taylor Rivera at Lilpawpeep@fortailsonly.net or on her Facebook page for more info. Taylor recently asked us if we would like to try a couple products available through For Tails Only. 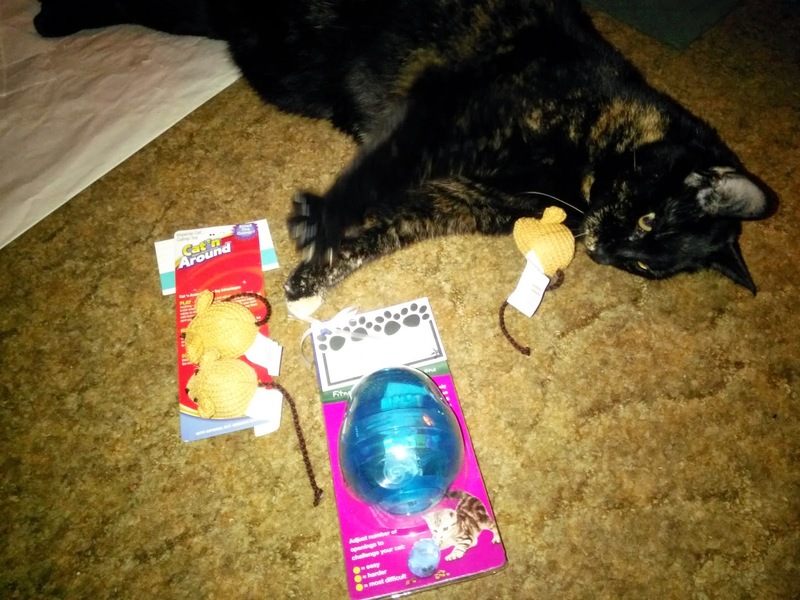 She sent us Imperial Cat's Knitted Mice Trio w/ Organic Catnip and a FUNKitty Egg-cersizer. You can connect with For Tails Only on their website, Facebook, and Pinterest. I guarantee you'll find something for the special pet or pet lover in your life! Disclosure: We received these toys at no cost for the purpose of this spotlight and review. All opinions are our own. Awww Truffles, you are looking extra cute there. Tell your staff thanks for the recommendation. I told M to get herself over there today and check it out. That sounds like a great online store. We'll check it out. I'm lovin' the look of those mice. Absolutely LOVIN' it! And they contain nip, you say? EXCELLENT. I welcome the visit anytime. WORK FOR TREATS!?! Harry the Farm cat fell of off his lounger! 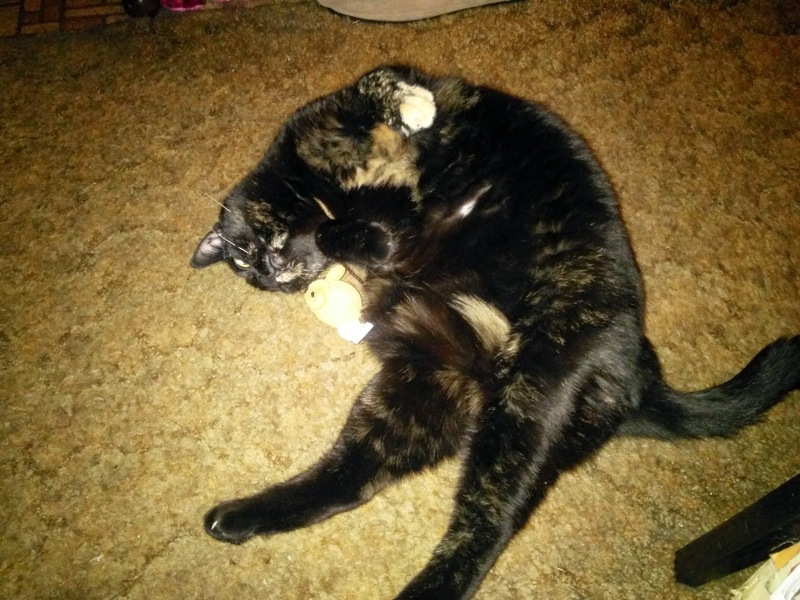 We're glad Truffles likes her mice! Our mom stinks at selling things, but we'll definitely check out the store. We're sure we'll find plenty of things to drop hints about for her come prezzie time! Those mice are adorable. I see Truffles point. I wouldn’t work for treats neither. That sounds like a great online store, and those mice look awesome! Thank you. 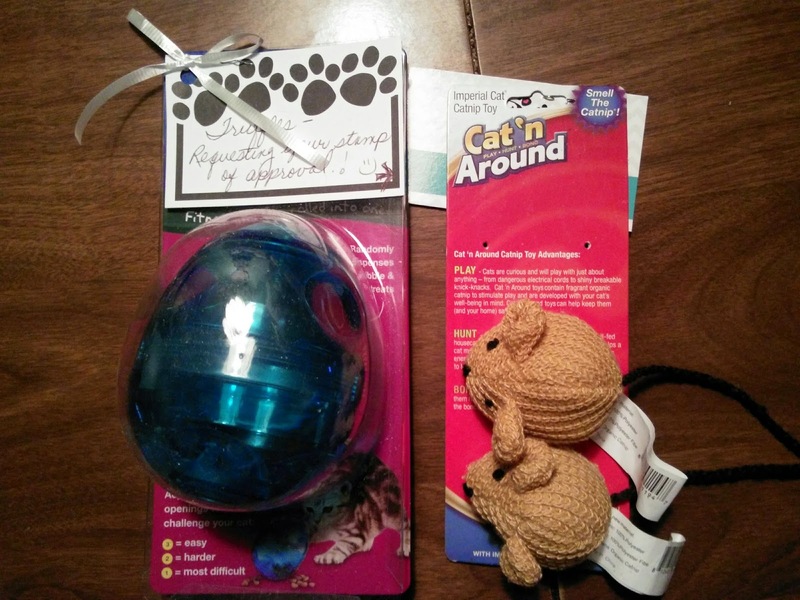 Package includes set of 3 mice.